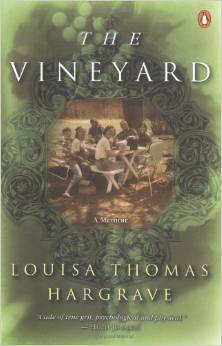 Louisa Thomas Hargrave wrote a gracious memoir, The Vineyard: The Pleasures and Perils of Creating an American Family Winery (2002). 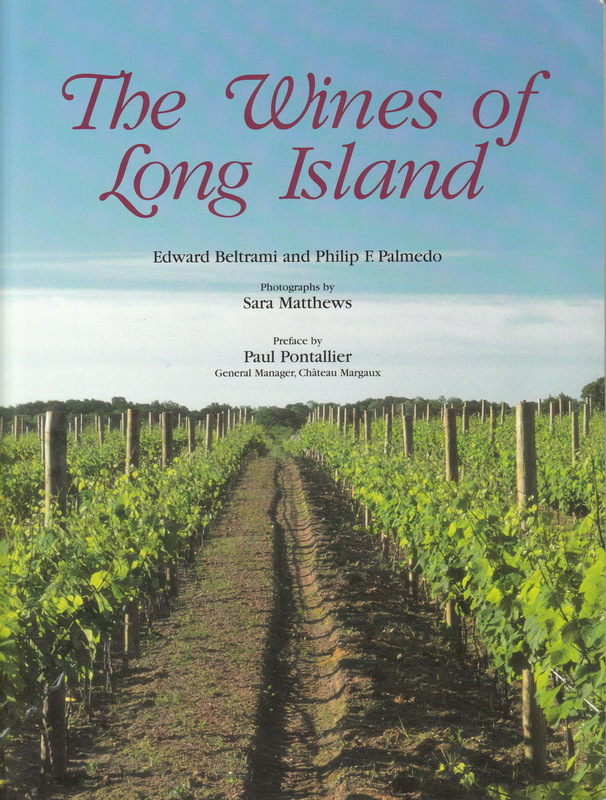 One cannot begin to understand what was involved in creating the Long Island wine industry without reading this charming and touching account of the establishment of Long Island’s first winery, Hargrave Vineyard, in 1973, when there were only small farms and potato fields. It is charming in its modesty, touching in its honesty, and a remarkable tale of what it takes to start a vineyard from scratch when you don’t even know what you’re doing! 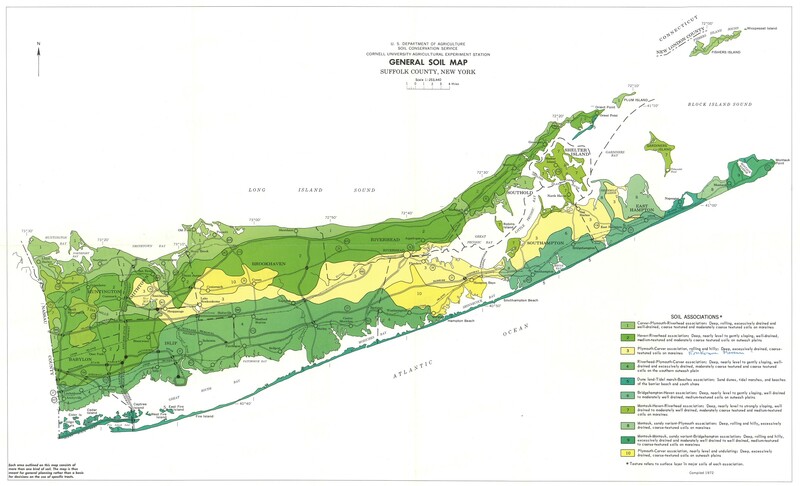 And look at what it started–a whole industry that is one of the dominant features of the East End of Long Island, begun with passion, commitment, and hard work, but ultimately at the cost of heartbreak and renewal. Now out of print, it is still available on Amazon or AbeBooks. Some used copies are available for a penny plus shipping from various book dealers. 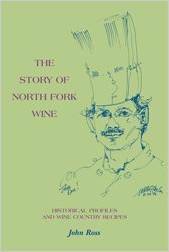 An interesting and somewhat chatty book is The Story of North Fork Wine: Historical Profiles and Wine Country Recipes (2009), John Ross’s up-close-and-personal look at the people who work in and run the wineries. A chef who owned Ross’s North Fork Restaurant, he became close to many in the wine trade, especially given that he was interested in devising recipes and menus that would best accompany the wines of the region. The first half of the book is comprised by his personal profiles, which include everyone from owners to winemakers to vineyard managers to tasting room personnel. The second half is devoted to recipes from his restaurant and suggested wine pairings. In the intervening years since the book was published many of the persons featured in the book have moved on, but many of their stories remain relevant even now. Also out of print, but it can be found on Amazon.com. 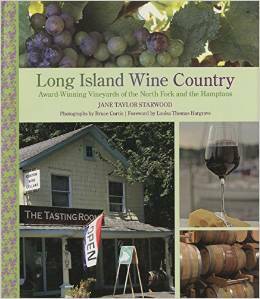 Long Island Wine Country: Award-Winning Vineyards of the North Fork and the Hamptons, is well-illustrated guide to visiting Long Island vineyards and wineries. Written by Jane Taylor Starwood, editor-in-chief of Long Island Wine Press, she gives us an insider’s track on the owners, the winemakers, and the wineries themselves. In a conversational tone (and amply illustrated), the book leads the reader from East to West on the North Fork, and then down to the Hamptons, as though the route would be followed by visitors travelling by car. It’s a bit frustrating an approach if one wants to do research and would prefer an alphabetical organization, but it’s a quibble given the overall quality and usefulness of the book, which is still reasonably up-to-date as of 2015, given that it was published in 2009. One should bear in mind though, that already important personnel changes have taken place: Richard Olsen Harbich left Raphael in 2010 and went to Bedell Cellars, Anthony Nappa is now Raphael’s vintner, Kelly Urbanik Koch is winemaker at Macari, and Zander Hargrave, who was assistant winemaker at Peconic Bay Vineyards, is now at Pellegrini; Peconic Bay has closed its doors. 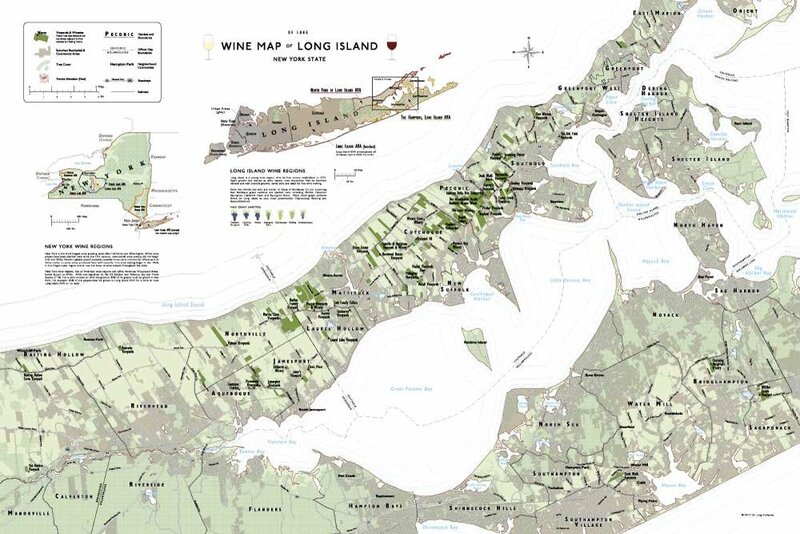 A new, major winery, Kontokosta Vineyards, opened in June 2013 in Greenport; Southold Farm and Corwith Vineyard are brand-new startups as of 2014. 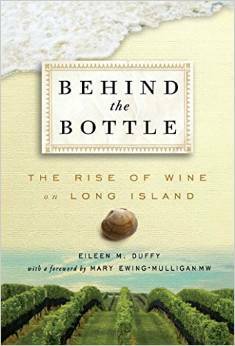 The most recent contribution to the story of Long Island wines is Eileen Duffy’s book, Behind the Bottle: The Story of the Rise of Long Island Wine (2015). This is a book that focuses on the winemakers and their wines. In fact, the conversations that Duffy had with the winemakers as they discussed their wines in considerable depth, give the reader the clearest sense possible of what the winemakers look for and try to achieve with their wines. It makes for fascinating reading. Unlike John Ross, who tried to include anyone whom he knew that was in the business, Duffy’s book includes interviews with just 16 of the region’s winemakers, including Louisa Hargrave, who still has a few bottles of her 1993 Cabernet Franc, still aging, still drinkable, and from a very great year for Long Island. My favorite conversations, due to the great detail with which the winemakers discussed their craft, include one with Roman Roth, who talks about his 2008 Merlot as though he were painting a portrait of a lover. This entry was posted in References, Vineyards, Vinification and tagged Behind the Bottle, Edward Beltrami, EIleen Duffy, Jane Starwood, John Ross, Long Island Wine Country, Louisa Hargrave, Philip Palmedo, The Story of North Fork Wine, The Vineyard: The Pleasures and Perils of Creating an American Family Winery, The Wines of Long Island on 24 April 2015 by JoseM-L.